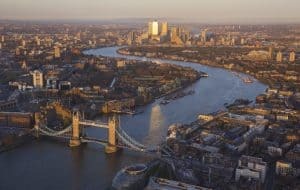 The Freight Transport Association (FTA) has issued a response to plans by London Mayor Sadiq Khan to bring forward the implementation of the new London Ultra-Low Emission Zone (ULEZ) and its subsequent expansion. Under the new proposals, the ULEZ will come into force from 2019 (before its expansion the following year) and will introduce a new London-wide Euro VI requirement for all lorries entering the capital. FTA head of national and regional policy Christopher Snelling commented: "No-one disputes the need to improve air quality. Once again, what we do object to is the one-sided nature of these measures – all burden and no support." He argued that the shift in deadline for the introduction of these increased requirements will likely pose significant difficulties for many fleet operators in achieving compliance, as well as placing additional costs on operators. At the same time, the FTA believes Mr Khan could achieve similar results in terms of improved air quality for the capital, but with a lesser burden on the city's logistics providers and businesses, by offering a temporary discount to the Congestion Charge for compliant vehicles prior to the ULEZ starting. The organisation estimates that small businesses making use of older van types at present will be required to spend thousands of pounds on replacement vehicles in the next three-and-a-half years. This is a situation that the FTA deems to be against the best interests of the capital as a whole, given the need to promote a stronger economy and to better support the city's essential logistics providers in the years ahead.